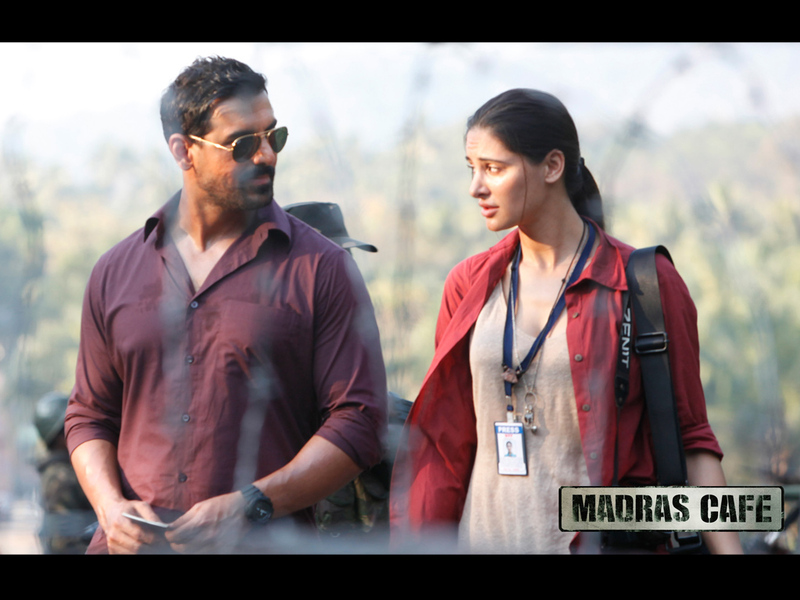 Why Madras Cafe is not your average Bollywood thriller? Madras Café is a hypnotically created masterpiece which thrives in the freshness of its conception. It is a sinewy and riveting espionage thriller that entertains without having to play to the gallery. The movie crackles with genuine energy and is marked by true empathy for humanity. It is an unqualified triumph. Using history with drama to build a persuasive tapestry of enthralling action, energetic plot and skillful narration of the grim phase of Lankan War, Shoojit Sircar astonishes with this fascinating docu-style dramatic movie. The story hinges on a conspiracy theory that links the assassination of a pacifist ex-Prime Minister to the machinations of giant corporations and foreign agencies out to destabilize the subcontinent. Madras Cafe draws upon actual events that are still fresh in the nation’s collective memory and crafts a compelling and fast-paced political drama. Sircar hits the right strides, and blends fact and fiction with great narrative aplomb and visual flair. The director attempts a risky tightrope walk between staying true to recent geopolitical history and the need to serve up an imagined, dramatised spy story. As Lankan leader Anna strives to garner power and Indian Government attempts to achieve their political motive of maintaining monopoly in the subcontinent by maintaining friendly relations with Lanka to obtain access into the South East Asia, Sircar wonderfully relates the story of anarchy, bloodshed and meaningless war which continued for 27 long years killing thousands. In the end, he does squeeze out a potent message about the nugatory nightmare of the wrath of war. Shoojit intelligently executes a crisply written story which is executed breathtakingly. He succeeds on both counts. At no point does Madras Cafe appear to be in danger of losing its balance and plummeting into a void. Madras Cafe stands apart from run-of-the-mill smack-downs because it does not celebrate vacuous militaristic machismo. What the film does instead is bring home the horrors of a civil war and its human ramifications. At the centre of the drama are an undercover intelligence agent Vikram Singh (John Abraham) and a London-based war correspondent Jaya Sahni (Nargis Fakhri) who are up against daunting odds in a war zone. Neither, however, possesses the attributes of larger-than-life daredevils. Vikram Singh is deployed on a covert oppression to Jaffna. After India and Sri Lanka signed the peace accord in the mid-1980s, India took it as their mission to help its neighbors relieve themselves from the ethnic strife between the Sinhalese and the Tamils. Hatching a plot to bring down Anna, a popular Tamil leader in the zone, Vikram tries to team up with Anna’s opponents in the beginning. On the ground, however, treachery is rife and leaks from within the organisation pushes him repeatedly into deadly traps laid by the adversary. It is a world where danger lurks at every corner and violence erupts without much warning. Worst of all, in the shadows, it is difficult to tell friend from foe. Falling prey to a leak, he loses his first shot with Anna and gets kidnapped by his forces. However, now hell bent on getting Anna to bow down, he teams with Anna’s own men and manages to ambush his army. However, Anna manages to live and returns even more powerful by eradicating Indian forces off Jaffna and Lanka. Plotting ways to kill the former Indian Prime Minister fearing that he will return to power, the film is a tussle between the war makers to safeguard their interests. And for Vikram, it is the story about how India lost its Prime Minister in an assassination which the nation has still not forgotten! From the opening scene of a brutal terror attack on a bus in Jaffna to the climactic explosion that shatters the hero’s hopes of stopping a heinous act, Madras Cafe does not let go of its grip on the audience for even a moment. Its muscles stem primarily from its steadfast eschewal of narrative conventions that are a part and parcel of spy thrillers. The writers (Somnath Dey, Shubendu Bhattacharya) obviously have their hearts in the right place. And so undeniably does the director. He constructs an account of what might have happened in the last two and a half years leading up to the elimination of an Indian political leader by the world’s first-ever human bomb. Most of the real historical markers are all in place and the filmmaker takes only minor liberties with issues of chronology and detail. But the names given to the key individuals and organisations engaged in the Sri Lankan civil war are strictly in the realms of fiction. Although Madras Cafe has not been shot on real Sri Lankan locations, the production design, the camerawork and the editing ensure that what unfolds on the screen never looks less than authentic. Nargis Fakhri, playing a journo who converses only English, strikes the right notes, while John Abraham throws all his weight behind the character of the RAW agent who loses more than he gains in the line of duty. As an actor, he comes up trumps. Next story Why Aligarh is more than just a film about gay rights? Previous story PK is a Poignant Piece of Cinematic Enlightenment. How?